Apple Music couldn't have come at a better time for me, because my levels of hatred for Google Music have reached new highs. Although I mostly exist in an Android world, I will be switching to Apple Music, and here's why. The grit in my eye with Google's Music service isn't how it works - for the most part I really like the functionality. What has pushed me over the edge is Google's utterly ridiculous device deauthorization limit. To explain, with Google Play Music you can have up to 10 devices registered at any one time, but you can only deauthorize four per year. This won't be a big deal for most people, but because I review and use a lot of devices I need to be able to switch things. I'm fine with a limit to the number of devices, in fact to be honest it could be five and I'd be happy, but not being able to adjust this without waiting a year is beyond a joke. My hatred goes beyond the simple fact that Google introduced this. There's what it says about Google. No other companies do this. For example Spotify is much more free and open. There are limits, but taking devices off the list is reasonably simple. So why has Apple Music already won? Well, for one thing, everyone who can access the service is going to sign up to listen for three months free on day one. If Apple can cope with the demand every single Spotify, Google Music, Rdio and Deezer subscriber is going to sign up, even if just to compare Apple's service to their current subscription. 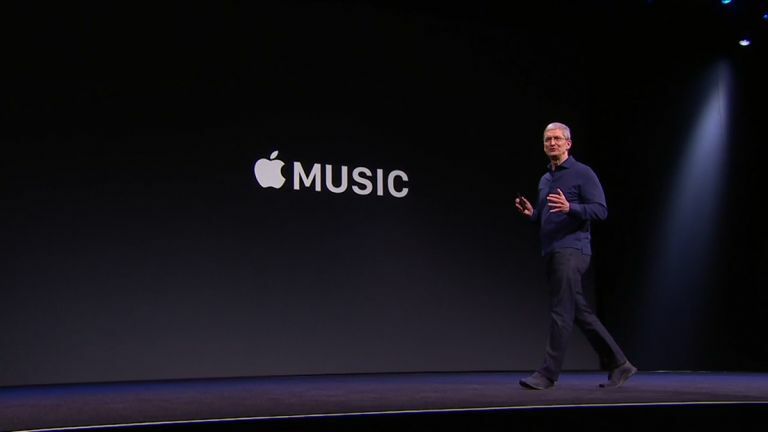 My honest opinion is that with Apple's name behind it, Apple Music will have everything most users want. Adding Android support was a masterstroke, and although it won't be available at launch I still think Android users are going to be in on the trial early, to see how they like it. The only holdouts I can see will be Spotify users with big shared playlists. This remains a key reason to use Spotify, and it's even had me considering going back to subscribing. If Apple has had a good think then it may even offer playlist imports and similar features that will give people a way to get off their existing service and on to Apple Music. I'd like to do this with my "Thumbs Up" playlist on Google Play Music, but I'll probably survive if I can't. It will also be interesting to see where Beats 1, Apple's 24/7 radio station, ends up going. The idea here is a pretty solid one, but creating a radio station that everyone in the world likes is going to be one of the hardest tasks Apple has ever undertaken. Of course, you can't please everyone, but if Beats 1 has interesting people hosting there is a real chance it could be a big hit globally. So there you have it, Apple has sold me on its music service. There's a chance I'll start on the trial and work out I was wrong, but my honest feeling is that with Apple's music history it knows what people want.